How Fit is Your Biopharmaceutical Manufacturing Facility? It is essential that both mature and newer existing facilities manage the aging process to ensure that processes, equipment, critical utilities and other systems continue to operate as intended. A proactive approach involving predictive — rather than preventive — tools will identify deficiencies before they compound and become actual problems. Biopharmaceutical manufacturing facilities are complex organisms that evolve over time. As the facility ages and legacy employees depart, the original design intent may not all be handed over to other employees. As companies mature and new products are commercialized, modifications are made. These modifications may be implemented by in-house personnel lacking the experience of the design and qualification experts who are aware of the design principles and pitfalls of making certain changes. Even the newest facilities can be challenged to avoid operational deficiencies. In some cases key stakeholders move on; in others, those working on the design side do not have visibility into operations within the plant. Facility managers are under constant pressure to achieve maximum productivity, and often look to implement efficiency increases that can unwittingly lead to equipment failures, operational errors and contaminations. These consequences can be quite serious, ranging from lost batches and regulatory warnings to drug recalls, facility closures or even patient harm. Issues with sterility represent a key warning sign for biopharmaceutical facilities — this has only been increasing in recent years. Lack of sterility assurance caused by the inability of manufacturers to document adequate protection against contamination by adventitious biological agents is one of the most frequent causes of drug recalls.1 Between 2004 and 2007, 624 sterile drug products were recalled. Nearly 400 of the recalls were due to a “lack of sterility assurance” and 79 were “contaminated.”1 In the one-year period between March 18, 2016 and March 18, 2017, 21 drugs were recalled due to a lack of sterility assurance.2 Perhaps more alarmingly, 80% of respondents to a survey conducted by the Parenteral Drug Association in 2016 had batch rejection rates of up to 4% due to a lack of sterility assurance or the potential thereof, and 15% of those respondents had rejection rates of 5%-10%. For manufacturing facilities, a proactive, self-assessment approach can be considered a predictive maintenance strategy. Unlike the typical preventive maintenance strategy, in which maintenance is performed on a regular calendar-based schedule according to industry standards, predictive maintenance is performed according to the actual level of use of the equipment. When more runs are conducted in a bioreactor, maintenance is performed more frequently. By predicting the level of use of equipment, maintenance can be better planned and, thus, more potential problems can be prevented. 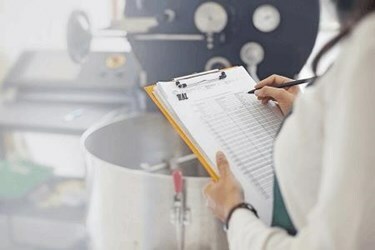 The ‘Fit Facility’ concept strives to challenge clinical and commercial GMP manufacturing facilities with a systematic and dispassionate ‘stress test’ to reveal risks to patient and profit, with a focus on critical process equipment and utilities. It relies on routine proactive checkups, constant monitoring and the use of a predictive maintenance strategy. A variety of problem-solving and risk assessment tools are employed. Conducting “as built” vs. “as found” reviews is an effective method for identifying design deficiencies. Ensuring a Fit Facility also requires extensive collaboration between operators and other members of the staff, as well as an appropriate culture that encourages success. Investigation of how employees are performing their duties is needed in order to determine if they are following standard operating procedures, understand the necessary principles and are aware of their responsibilities, and if changes need to be made to improve their safety, performance or comfort (improved ergonomics). Defining change and understanding the impacts it can have on validated systems, process boundaries and/or supporting systems is also essential. Other specific components include process closure analysis, robust process monitoring (PAT), control system strategy, standard operating procedure reviews, equipment inspections and, ultimately, a comprehensive risk assessment. Process closure analysis involves defining operations as closed, functionally closed, open or briefly exposed, and identifying how to manage the risks posed by each. What level of bioburden can be tolerated and how can the system be designed to achieve that tolerance level? Doing so requires an understanding of the necessary process robustness. Robust process monitoring controls include in-process testing methods combined with routine monitoring of the test points. In some cases, this testing can be incorporated into the predictive maintenance activities. This approach to monitoring provides much greater process understanding and leads to more consistent processes. Procedural reviews are necessary to define boundaries. Process designs should be compared to existing standards — older methods may no longer be best practices. Walk-throughs of P&IDs should be conducted to check piping slopes, fittings, valves, etc. to ensure that they meet the initial design requirements. All activities should be questioned and not assumed to be fine because they have been effective in the past. Equipment should be reviewed to determine if it is operating out of its designed/qualified scope and whether there are any procedural sensitivities. Gaining knowledge of all raw materials and determining the appropriate level of testing for them, as well as establishing consistent parts requirements, are important preventive actions. Equally important is understanding the “enemy” — the possible microbial organisms that may inhabit the facility. One of the key aspects underpinning the Fit Facility concept is recognition that individual deficiencies cannot be considered in isolation. While it is true that an insufficient piping slope by itself is unlikely to cause any significant issues, if that piping is connected to a valve that was not seated properly after the last steam-in-place (SIP) process and is a point of ingress for contaminants, the microbes now have a point at which they can enter the process system, as well as a food source and place to hide and multiply — which is a huge problem. Compounding of deficiencies leads to failed batches and product recalls. When these trends are identified, a facility then goes into a reactive mode, trying to minimize the damage. It is much better to take a proactive approach and scrutinize facility systems extensively and continuously to prevent any serious issues from arising. It is also important to realize that identifying a problem such as an improperly sloped line is not sufficient. Finding the root cause of the problem is necessary to ensure that it does not continue to happen and may also reveal other issues that have resulted from the same root cause. CRB is leveraging the expertise of employees with both design and end-user experience to develop strategies for realizing Fit Biopharma Facilities. We have developed a comprehensive, systematic approach that involves varying degrees of examination depending on how in-depth a client wishes to investigate the health of a plant. Options can be compared to a 15-minute quick checkup, a more intense physical or a full-body scan. The effort begins with the development of an overall facility investigation roadmap. Processes, equipment, utilities and staff knowledge and interactions are subjected to review. Risk assessments are conducted and often uncover previously invisible issues. Predictive maintenance strategies are implemented to reveal deficiencies as early as possible. A holistic approach to root cause analysis is employed to reveal underlying deficiencies affecting plant operations. In these facilities, potential problems are identified before they can have a measurable impact. The result is a healthy bioprocessing facility that functions effectively and produces high-quality, safe efficacious medicines.